Different travelers look for different experiences when going on a trip. Some people get away to find romance, while others just want to relax and take things easy. And then, there are the travelers who seek constant action and adventure. If that's you, keep reading to get some inspiration for your next big vacation! Biking is a great way to explore a new place, allowing you to get around while staying immersed in your surroundings. If you love biking, consider upgrading to an electric bike during your next getaway. eBikes are designed to give an extra push you need it the most on your travels. 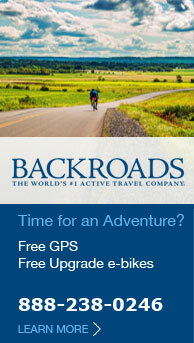 Contact a WorldTravelService® agent for more information or to plan your biking experience. If you're going somewhere with great views, consider going on a hike to see things from a different perspective. Hiking can offer a new, exciting way to make the most of local scenery on vacation. We can help you choose the perfect spot to go hiking and plan all the details for you. Choose a more secluded spot for your next travel experience. For destinations paced with non-stop action, try an African safari or an Alpine adventure. We can help you hash out all the details, so you can just sit back, relax, and prepare for an unforgettable journey. There are several travel destinations that are extremely popular, and for good reason. But if you dare to travel off the beaten path, you can discover places you never knew existed. For more travel ideas that will satiate your desire for adventure, check out our 2016 catalog. Have our travel suggestions gotten you ready to book your next trip? If so, we are here to guide you through all the details and send you on your way! ARE YOU LOOKING TO DISCOVER NEW ADVENTURES? Explore our Active Adventure Travel Program Contact our team of experienced travel agents to begin planning your next adventure getaway!